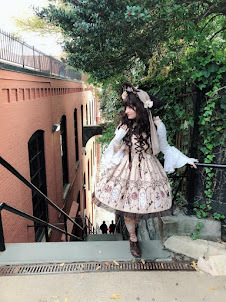 This is the best pic I have of it though, hopefully one day I can do an actual photoshoot with this dress. I had wanted this dress so badly when I saw it go up for reserve but I turned down the option to when my boyfriend offered. I was amazed when he got it for me while on vacation, so you can see it also has great sentimental value to me as well.